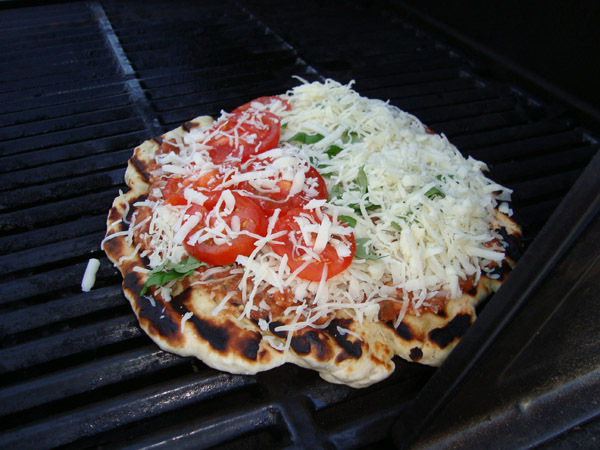 Mmmmm, grilled pizza. This made the best Friday night meal on the patio. Yum. And, it’s easy. I used a pre-made pizza dough and rolled it as flat as possible. Then gathered up the fixins. 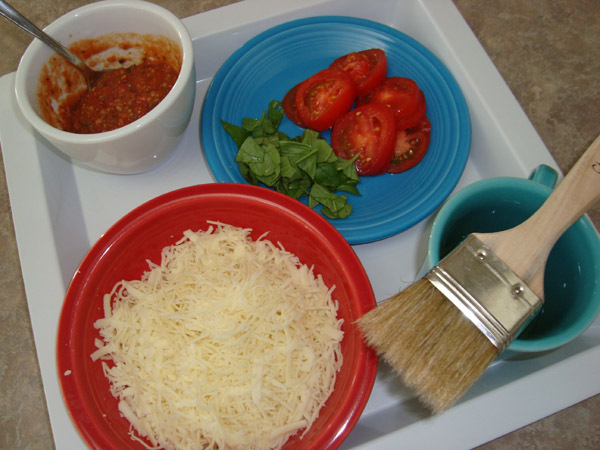 Olive oil to brush on the crust, a sauce (made of pureed tomatoes, tomato sauce, garlic and a little sugar), some mozzarella, and fresh basil and tomatoes. 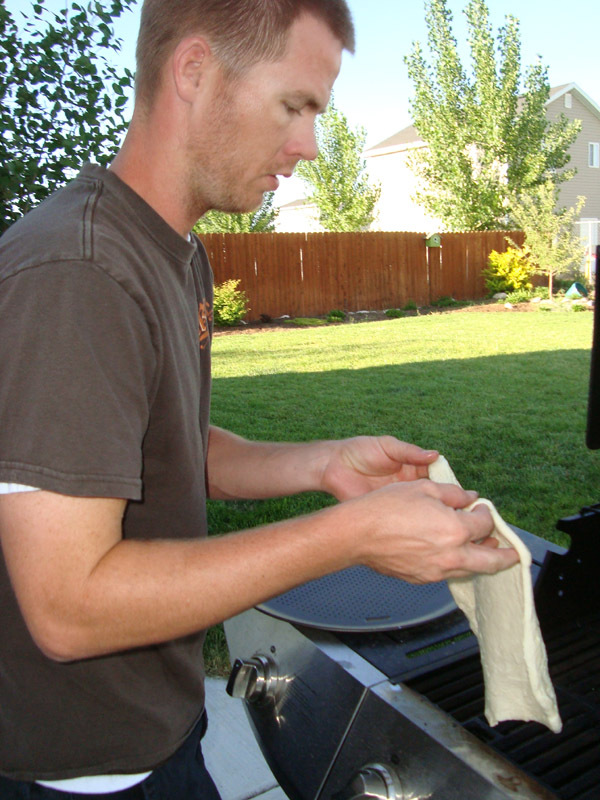 Brush olive oil on one side of the crust and lay that side down directly on the grill. It won’t fall through, promise. It gets crispy real fast. Brush the other side with oil. Turn off the flame; once the cheese is melted it should be ready to eat. Yummy! That looks so delicious! I think I will bring that to my next neighborhood grill-out. Thanks for the recipe. 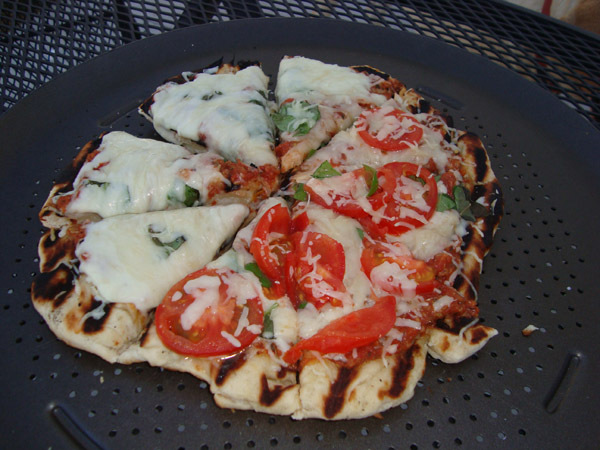 I’ve always wanted to try grilled pizza! Yours looks delicious! Thanks for the recipe, I might just have to try this soon.